As the most impressive and largest master planned Metro Vancouver real estate development, The Amazing Brentwood in Burnaby is one project that any home buyer or investor should know about for 2014! The first phase tower is now sold out, but SHAPE Living is initiating presales for BRENTWOOD TWO Condo Tower, the Phase 2 high-rise at The Amazing Brentwood. The master planned neighbourhood will feature a 28 acre shopping, dining and entertainment district just below you and with on-site SkyTrain Access that takes you to YVR, downtown Vancouver and throughout the Lower Mainland, the location is just impeccable. The WalkScore will likely be close to 100, meaning that you can literally walk to everything you need to see and do on a daily basis. As well, there will be a one acre plaza with walkable streets full of year round entertainment and events. 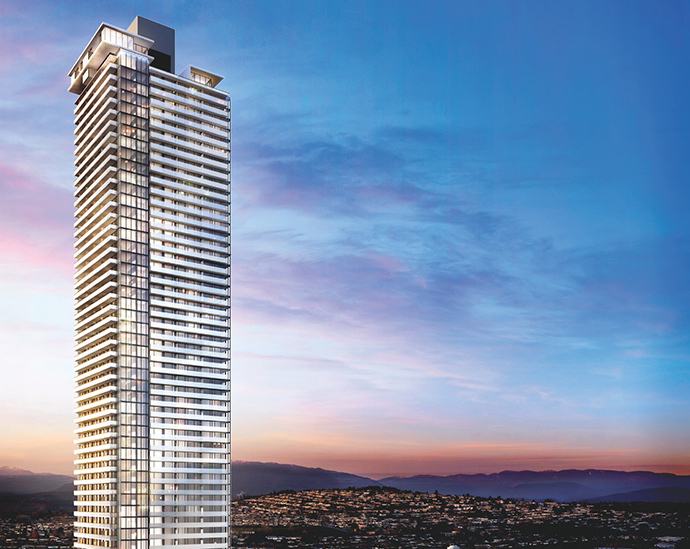 The Amazing Brentwood Phase 2 tower at BRENTWOOD TWO Burnaby condos will be designed by internationally renowned architect James K.M. Cheng Architecture and the second phase will release about 563 new presales homes starting form an affordable price point below $300,000. The interior design for the presales Burnaby BRENTWOOD TWO condos will be designed by BYU Designs (and like the first phase, there are three colour palettes to choose from for preconstruction buyers). Every home will feature outdoor living and most home will have impressive and unobstructed views. Main living spaces will have nine foot ceilings and the living areas and bedrooms will feature premium laminate wood floors. All homes at Phase 2 Amazing Brentwood TWO condos will have full laundry rooms with Bosch side-by-side washer and condensation dryer plus lots of storage space. There is convenient USB and four plus outlets so all your devices can change at once. There are also flex spaces as per plan for home offices or wet bars. All homes will come with roller blinds, pre-wiring and the development will be built to LEED Silver equivalent standards. More information about The Amazing Brentwood Two condos in Burnaby are located online at www.theamazingbrentwood.com. 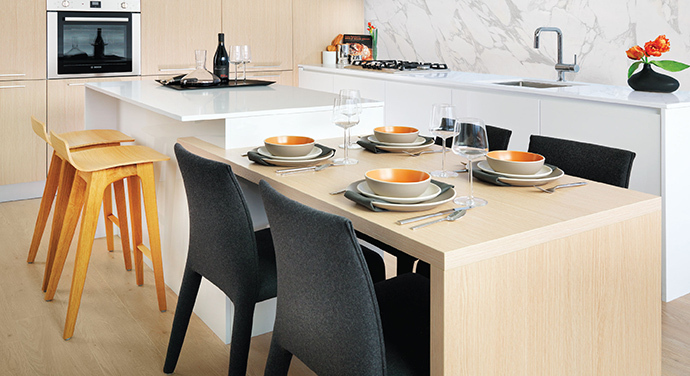 Brentwood Two in Burnaby will feature amazing interior finishes designed by BYU Design. The amazing kitchens will have polished quartz stone counters and luxurious marble backsplashes in addition to convenient in cabinetry recycling/garbage stations and undermount stainless steel sink and in sink garburator. There is pot lighting and under cabinetry lighting and the European cabinets are floor to ceiling (about 40% more storage space than traditional designs) with soft close hardware so there is no banging in your home! The floor plans (as per layout) will feature designer kitchen island and breakfast bar for more entertainment and eating space and the presales Burnaby Brentwood Two condos at The Amazing Brentwood development will also feature high-end Bosch stainless steel appliances that include a convection wall oven, four burner gas cooktop, pull out fan, dishwasher, fridge with bottom mount freezer (integrated) as well as Panasonic microwave. There is German designed Grohe fixtures too. The amazing bathrooms at the presales Burnaby Brentwood Two condo high-rise tower will feature deep spa-like soaker tubs, polished quartz stone counters, sleek porcelain tiled surrounds and walls as well as high-end large format porcelain floors. The bathrooms also feature dual flush toilets, full sized walk in frameless glass standing showers in most homes and elegant wall hung sink and floating European style cabinets with soft close hardware. The Amazing Brentwood Two Condos in Burnaby will also feature private storage space in each home and at least one parking spot. All homes are backed by the National Home Warranty 2-5-10 coverage for your peace of mind. 3. Over 350 shops, services and restaurants within a five minute walk from your front door! 8. This Burnaby condo project is a sound real estate investment with long-term appreciation in a transit oriented community. 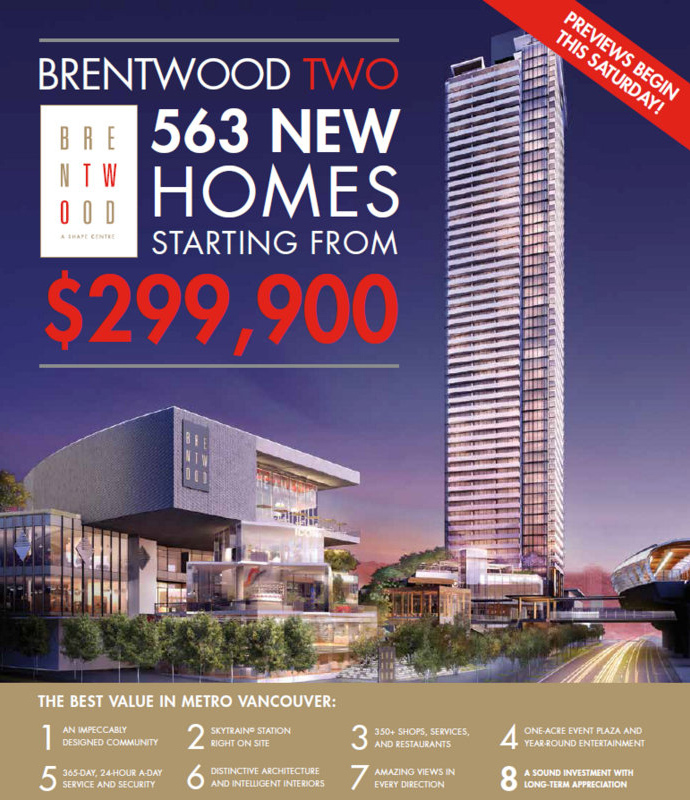 From The Amazing Brentwood Two Burnaby condo marketing emails: We are excited to invite you to the launch of the presales Burnaby Brentwood TWO condos this Saturday, September 27 at The Amazing Brentwood! Come preview the 563 new presales Burnaby homes that will be available for sale this October, and learn about the amazing master-plan community. With SkyTrain© at your doorstep, a 28-acre shopping, dining and entertainment district just an elevator ride away, and interior design details you won’t find anywhere else – The Amazing Brentwood Two condos in Burnaby offers the best value in Metro Vancouver, with presale homes from $299,900. Come see what everyone is talking about at noon sharp, this Saturday – noon sharp! Walk through the three beautiful show homes, speak with our sales team, and enjoy complimentary treats from The Roaming Dragon Food Truck and Pinkberry! PREVIEWS BEGIN SEPTEMBER 27TH at 4567 Lougheed Hwy, Burnaby (Brentwood Mall). Beginning Saturday, September 27: Open daily 12-5PM, except Friday. Call 604.563.8386 or visit THEAMAZINGBRENTWOOD.COM for more details as they are released! As detailed in our Phase 1 blog post, The Amazing Brentwood Phase 2 condo tower will feature amenities that go beyond your regular development. Here, you will find over 12,000 square feet of private outdoor space including vibrant gardens, kids play area, outdoor fireplaces, outdoor lounge that is wind protected and much more. As well the presales Burnaby Brentwood Two development will feature over 8,000 square feet of indoor amenity spaces that include a 2,700 square foot fitness centre with fourteen foot high ceilings, cardio, weights, meditation area and yoga studio. There is a purpose built music room with multiple social lounges, full kitchen, lounge, dining room and guest suites for over night stays. There are also three high speed elevators that service the tower. Shape Property Management services are available for homeowners looking to have their home professionally managed while traveling or living elsewhere too! There are over 4,700 parking stalls available for visitors or friends and family.